I’m crying before I even start to type. I’ve been avoiding this blog for months, knowing this post needs to be written and holding off as long as possible. It’s hard to write about the difficult aspects of my relationship with my first-born daughter Elizabeth, and yet I feel compelled to paint a full picture, to give greater context for our unconditionally loving relationship at the end of her life. Even more, to show that this spirit who is now so loving and who assists so many from the other side, had many facets and was incredibly complex. Ours was a mother/daughter relationship that encompassed unconditional love, hate, compassion, need, affection, and a deep soul connection unique to us. Of all the people I love, she was the most challenging in my day-to-day life. I miss her so deeply, I would give almost anything for her to be here, to be hearing about her new job, new relationship, her friends, her dreams…. And here is the “forbidden thought” (as my teacher Brugh Joy would say) – I don’t miss being pulled into her drama, into the tension that she wore like a cloak, that arose with each decision, each new beginning. I don’t miss being part of her angst. Traveling to visit my younger daughter recently, I was reminded of a time when I was flying with both my girls, and Elizabeth was around 11 or 12. She was so sassy, so mean, so stubborn and hard-headed, so disgusted with me (and me with her). I remember seeing a mother with her teenage daughter across the aisle, and I still remember how sweet they were together, talking like friends, kind and appearing to enjoy each other! I longed for that, and at the time it seemed like a far-off fantasy that I could barely imagine. I am well aware that I gave her some good reasons to be angry with me. In many ways, her anger and rebellion came from wanting to be closer to me, wanting me to herself, wanting all of my attention. Somehow, at the same time that she was needing me more than ever, I was experiencing my own time of learning independence and exploring my own wilder side for the first time. I was not a wild teenager. I was a very responsible, good student, good friend, then good wife and mother. After my divorce in my mid-thirties, I finally wanted to play, and wanted time on my own, separate from my kids. This was a fairly abrupt change for them, as I’d been a happy, devoted, stay-at-home mom up til then. My world started to broaden, my priorities shifted, and they knew it and understandably, resented it. There were a couple of sweet years when she just wanted to hang out with us. 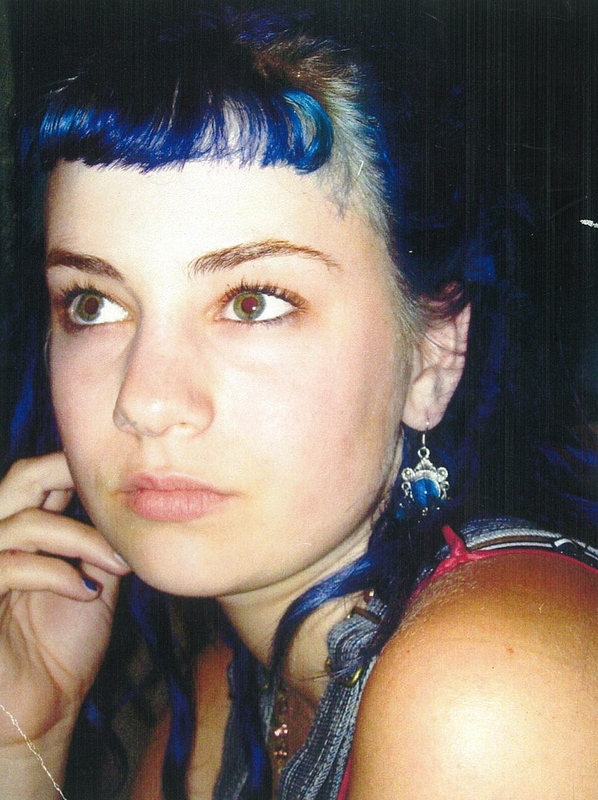 This was in her early teens, just before and after we moved to Tucson and she had left behind the intense punk rock scene of the Bay Area. She had shifted into a deeply spiritual aspect of herself, and was lovely to be with. She was writing gorgeous poetry, attending spiritual workshops, working at creating a new persona, and enjoying Tucson. Then everything changed. Partway through our first year in Tucson, she decided she had to move back to Berkeley to live with her father, sister and new step-mother. She felt lonely and afraid she couldn’t fit in. After months of debate, she convinced us all, and we made arrangements for her to move back – I helped her apply and she was accepted at a new school, her dad rearranged their home for her, etc… About 3 weeks before she was to leave, she changed her mind. She had finally made friends and realized she wanted to stay in Tucson. She had always been able to talk (and manipulate) me into pretty much anything – she could always wear me down. I was terrible at setting limits, especially with her. This time I said no. There was so much tension in the household, I was in a place of fear, and I couldn’t handle it. I listened to my head, rather than my heart, and told her that she had made this commitment, all of us had worked hard to set this up for her, and she had to follow through. She was furious, enraged and desperate to change my mind. She felt I was choosing Zelie over her, betraying her, and was devastated. For a variety of reasons, it was the one time I didn’t listen to my heart with Elizabeth, and it’s the only decision with her I deeply regret. I still can’t write or talk about it without crying. She was miserable, calling me almost every day, talking of depression and begging to come home. By the end of the first semester I relented and Zelie agreed. Though in the big picture I do trust that everything happens as it is meant to, and I can see good reasons why this needed to happen, it was very damaging to our relationship. It took years for her to trust me again, and some part of her hardened from that time. This protection around her heart only really started to soften after her cancer diagnosis, and finally released in the months when she knew she was dying. Elizabeth and I had one of the deepest soul connections I can imagine. When I look at photos of her now, I feel like a part of my soul left with her. I hear that many mothers feel this when their child dies, so perhaps this is simply part of this process. I hear often how much she looked like me, and I can see some resemblance in photos, but she had a kind of beauty that I used to long for. And yet, it feels like we were 2 sides of the same coin, that we made a whole in some way, and now I’m missing some part of myself. It’s very hard to put into words, but I imagine many of you can feel what I’m describing. I mourn the years that feel like they were lost, before she died. If I’d known she would leave her body at age 22, that’s one thing I would have done differently. I know she forgave me, but I still haven’t completely forgiven myself. I am working on it, with her help and guidance. Being able to share it helps to bring healing as well. This entry was posted in Lucia Maya's Updates, Uncategorized and tagged bereavement, daughter, grief, listening to your heart, loss, mother, motherhood, Parenting, parenting teens, Personal, regret, relationship, soul loss by Lucia Maya. Bookmark the permalink. Beautifully written. There are always two sides to a cancer diagnosis, to parenting and being parented, and to everything else in life. If we all had access to a crystal ball we would worry ourselves more and dwell in the anguish more than we do without! This was an incredibly raw and perfect description of your mother-daughter relationship~ applause and thanks for sharing this! I only know you and Elizabeth through this blog. But when I look at the photos of the two of you together I see deep and powerful love. She would have to have been complex to be so young and so wise. When I read her poems I can’t believe they were written by someone so young. Not just because of her immense talent, but the because of the profound thoughts that inspired the work. I think she was here to question and challenge and provoke and tteach and leave an indelible impression — on you, on everyone who knew and loved her and even on those of us who only know her through her words and your memories and thoughts. You are a strong and courageous woman. Thank you for sharing your feelings. There is no parent of any worth and substance who does not regret a million decisions we made for our children – and a million children who remind us of our misadventures into parenthood. However, all of this provides energy for our children to push back against us and find their own way into their own world of maturity. There is nothing that makes children into adults more successfully than to recognize that their parents were flawed humans. Lucia! WOW! your words and heartfelt expression of your relationship with your daughter is priceless. I too have a daughter and am blessed to have a wonderful woman, friend, confidant. Your openness about how you walked a tight rope at times is heartbreaking from both sides. The message that comes through is how much you loved and still love Elizabeth she’ll forever be a soul which will reside within your heart! Love has no boundaries. … and I will take the gifts of this post with me into our shadowlands journey.. – as a reminder of the depth of dimension that the shadow side of love brings to any relationship. wish you could be there in person! I am flooded by a depth of feeling not always accessible to me. Thank you for that gift. The shadow dimension you so beautifully recount, adds such profound fullness, and exquisite humanness to what I already knew to be an indestructible soul bond of love between you and ELizabeth. I enlarged the photos on my screen and it was so clear: Elizabeth in your face and you in hers! I taste the whole spectrum of the archetypal and uniquely personal “mother-daughter” phenomenon through this entry. That gift, from all three of you, is priceless. you have a strong and beautiful connection with elizabeth and even though she is no longer physically here, that will never change. her challenges were all a part of who she was, and even though they were hard to live with, you found your way back to each other. Child,teen,young adult. Difficult Transition every one. Please don’t believe that you were wrong in any decision that you made in regard to her growing into herself. It is a messy process what we humans go through to get to our who. Reading your blog and Elizabeth’s writing it was clear to me that she was a challenge. But, if she did not challenge you, you would never have grown into yourself. She let you do that in the end as she did as well. You both had to agreed to this long before you got here. Ho’oponopono . To make right right. I am sorry, please forgive me. Thank you, I love you. Thank you Marilynn, so true! I agree with all you say. I have been using ho’oponopono for years, and it has helped immensely through my challenges with Elizabeth in life and in moving through her death and my grief as well! I use it everyday… Thank you. I love you. I’m sorry.